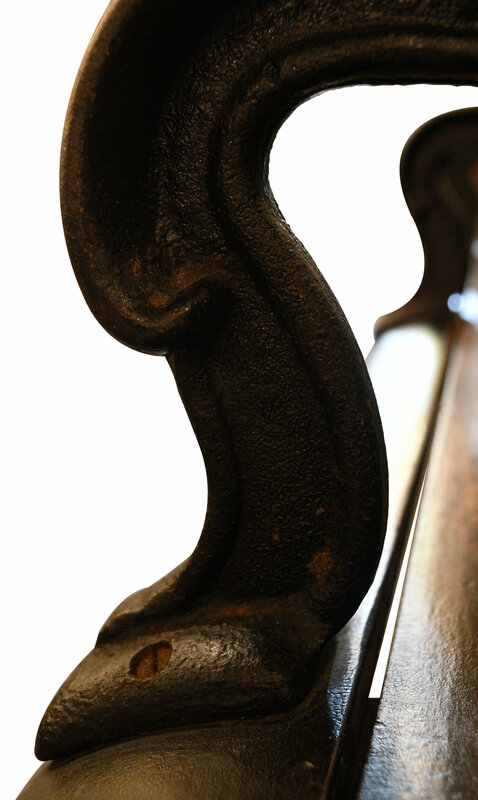 Beautifully aged wood bench with iron armrests and supports that run across the bottom. The four seats are well worn by decades of wary folks resting their feet. The linear, wide slats meld impeccably with the gently sweeping armrests, giving the bench an elegant and finished look. Be sure to include the Product ID (AA#48005) when making your offer.